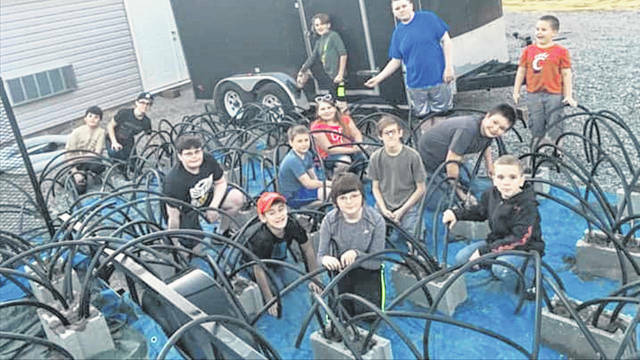 Thirty-five underwater fish structures built by Blanchester Boy Scouts of America Troop 839 were recently installed around the handicapped fishing pier on the south side of Cowan Lake. This project was a group effort by Ohio Department of Natural Resources Division of Wildlife Fish Biologists, Cowan Lake State Park Management, Cowan Lake Sailing Association, Friends Caring for Cowan Lake State Park (FCC) and the Scouts. This project was funded by FCC. If you are interested in becoming a sponsor or volunteering for future projects, please contact president@cowanlakestatepark.com.